Did you know that it’s possible to turn water into soda in the comfort of your home? Well, there’s actually no reason to take unhealthy soft drinks these days. You can use home soda makers to produce healthy sparkling water and other soft drinks right at home. 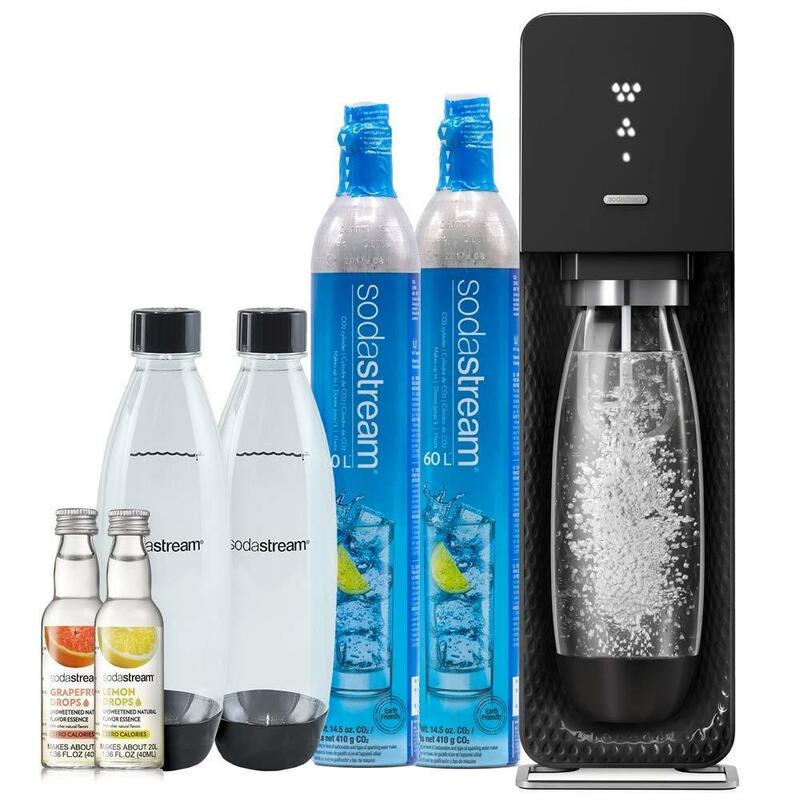 Whether you need pure sparkling water or flavoured soda, sodastream reviews recommend picking the best soda making the machine and enjoy the benefits that come with home carbonation appliances. When you have a home soda maker, you’ll be able to make carbonated drinks at home rather than buying them at your nearest store. Here are the 5 benefits of home soda makers. Home soda makers offer up to 50 different flavour options including classic favourites like orange, cola, root beer, and even cream soda. All you need to do is choose your favourite flavour and create your own personal drinks. The flavour options are actually endless. You can choose a line of “Sparkling Naturals” designed for health-conscious folks. Sparkling Naturals contain no artificial sweeteners, no artificial flavours, no artificial colours, and no preservatives. Home soda machines also enable you to choose from sparkling water, energy drinks, and sparkling teas. Numerous soda-making devices also include diet options of up to 15 diet flavours. Can you imagine how many plastic bottles end up in landfills each year! Why don’t you choose home soda makers and reduce your impact on the environment? Home soda making appliances are “Active Green” devices. Each time you use a soda maker, you are literally cutting down your carbon footprint since no bottles or can end up in the garbage. Home soda makers provide a surefire way to reduce CO2 footprint. You probably know that most plastic bottles are full of awful chemicals that are detrimental to your health. These bottles contain toxins that are likely to damage your health in the long run. If you really care about your health and well-being, it’s about time you invested in a home soda maker. SodaStream bottles do not contain harmful chemicals. And, if chemical intake seriously makes you worried, you can get a home soda maker that uses a glass carafe rather than a plastic bottle. A home soda maker saves you a lot of money in the long run. Of course, there are no major savings when we talk about an individual bottle. But, if you drink about 3-4 bottles of soda on a daily basis, then you can save a lot of money. For instance, assuming there are three members of your family and each person drinks 5 sodas per week. Then, you’ll be able to save up to $400 over the course of the year! Every member of your household will certainly enjoy using a soda maker at home. Making tasty beverage combinations is fun and can be a creative way to spend time with the whole family. A home soda maker allows you to teach your kids helpful lessons about nutrition as you guide them to mix up healthy flavour options. Also, these devices provide a great means to teach kids about the importance of saving Mother Nature, which is currently under siege.